Tree of Life Blog | Engaging Culture with the wisdom and power of Christ! The preceding verses (2 Cor. 5.17) tell us that if we are in Christ, we are a new creation, a new creature. Hagin helps us by telling us this means a new species of being that has never existed before. That’s what a Christian is – totally re-created. A totally new being. Old things have passed away, all things are made new, and all things are of God. You are not part God and part satan. You are of God. You are not carrying the satan nature and the God nature, you are of God! Your human spirit, the moment you are born again, is completely reborn. It is totally holy, totally of God, totally new. The problem is that although your spirit is totally changed, your mind does not realize it yet. Our responsibility as Christians is to be transformed in every area of our life through changing the way we think (Romans 12.2). And one of the key areas we must change how we think is how we think of ourselves and how we think of righteousness. The Scripture quoted above is simple: you are righteous. You are the righteousness of God Himself. You are as righteous of God. Not because of your behaviour, but because Jesus took your sin. What does that mean? It doesn’t mean how you act – righteousness is not about behaviour, it is a gift. A totally free gift. A gift you could never ever earn. Jesus provided it through His own death and resurrection! 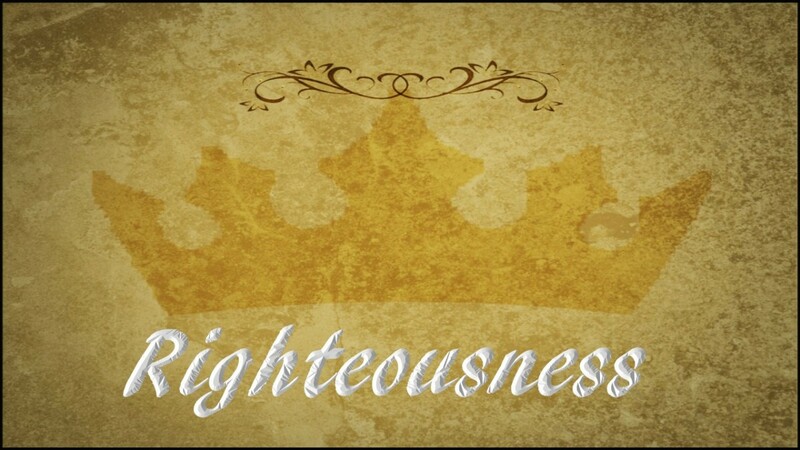 You have now been given the righteousness of God by Jesus Christ! Righteousness is not the way you act, it is a gift. You are righteous. Your nature is righteous. You can understand this better by realizing righteousness means “right-standing”. You have right-standing with God. You are God’s own child, and you are righteous meaning you can enter His presence without fear, without shame, without a sense of inferiority. You have a bunch of rights and a bunch of benefits because you are righteous. I will explain them in the next few posts, but today, why not just spend a minute or two thanking God you are righteous before Him!